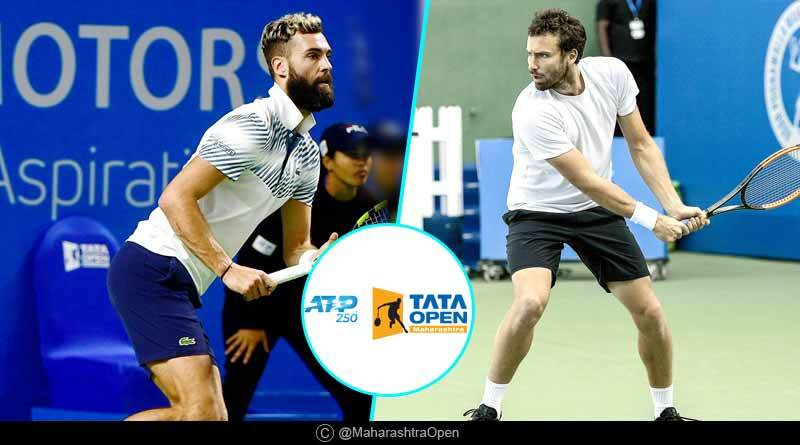 The one and only ATP 250 Tournament held in South Asia has seen some terrific and entertaining tennis action on the first three days of the event in Maharashtra. Day Three of the Tata Open Maharashtra saw World No. 95 Ernests Gulbis stage perhaps the biggest result of the tournament till now against second-seed Hyeon Chung, defeating him in straight sets 7-6, 6-2 to progress to the quarter-finals of the singles competition. Elsewhere it was a more straightforward result for the top seed at the premier event with World Number 6, Kevin Anderson, securing his berth in the quarter-finals as he defeated 23-year-old Laslo Djere 7-6, 7-6 at Mhalunge Balewadi Stadium. Meanwhile, the Indian bid in the men’s singles category came to an end with Ramanathan falling to a 7-6, 6-7, 3-6 defeat at the hands of Jaziri. The marathon second-round match was a cliff-hanger with neither giving anything away in the first two sets of the match. Drawing level in the second to draw parity and take the match into the decider, Jaziri who had shown incredible fighting spirit throughout the course of the match, incurred a 6-3 defeat on his counter-part to progress to the third round of the exhibition tournament. Ramanathan who was clearly drained going into the encounter, having been engaged in a three-setter in his round two match as well, failed to turn up in the deciding set with a charged Jaziri giving him no breathing room. In what was a controlled performance from Jaziri, Ramanathan was outclassed late into the night at Centre Court. Earlier India’s Prajnesh had already exited the tournament in the first round itself, losing to M. Mmoh 7-5, 6-3. While it was dire news for India on the men’s singles front, the men’s doubles event still holds a ray of sunshine for the host nation. Top-seeded duo of Rohan Bopanna and Divij Sharan registering a first-round win against the Radu Albot-Malek Jaziri pair with a win that hardly saw them break a sweat in the 6-1, 6-2 rout, sees India’s bid of returning with a medal from the premier tennis tournament event. Miguel Angel REYES-VARELA (MEX) will be the standout fixture of the day on Court 1 and will see the remaining Indian players at the tournament battle it out for progression to the next phase of the men’s doubles. For more articles like Tata Open Maharashtra, do Subscribe to our newsletter and follow us on Facebook, Twitter and Google+.